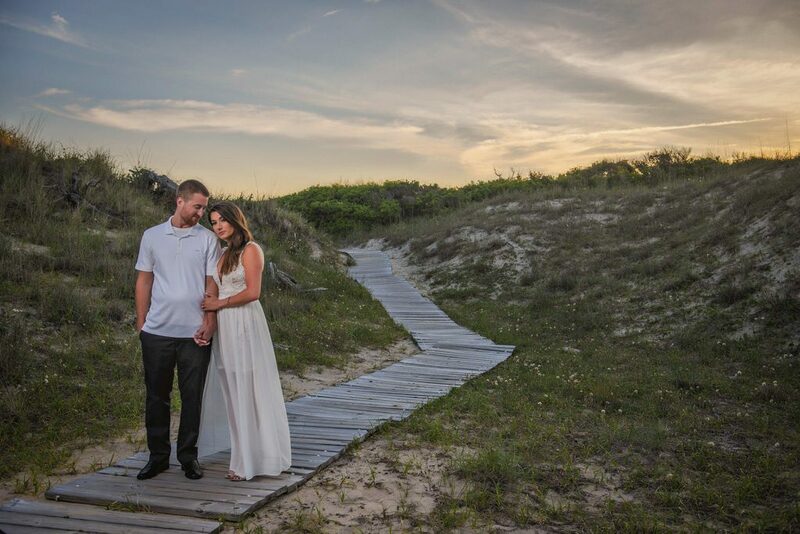 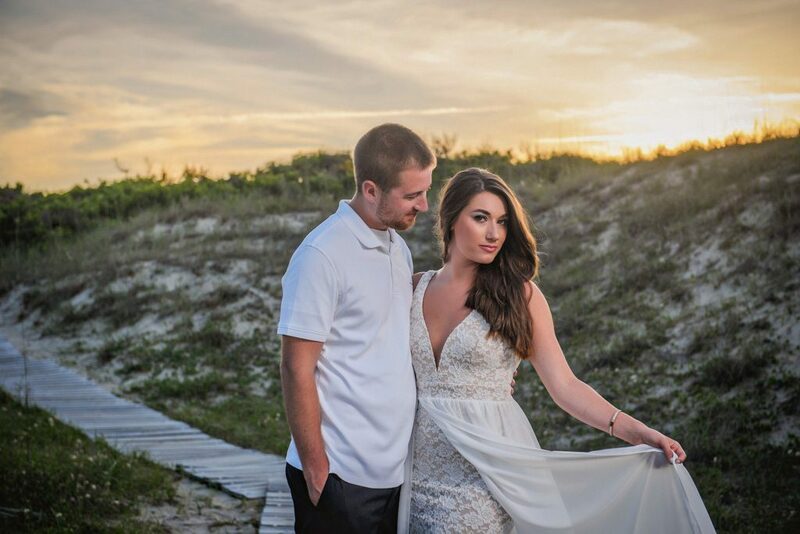 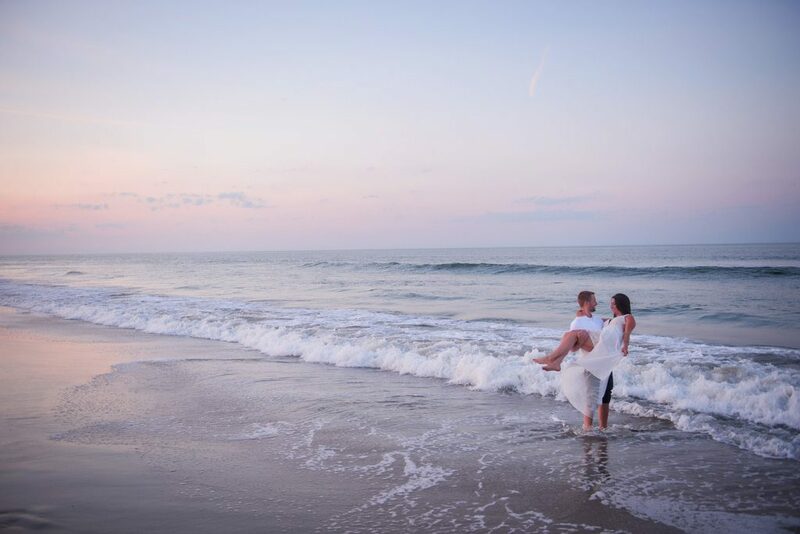 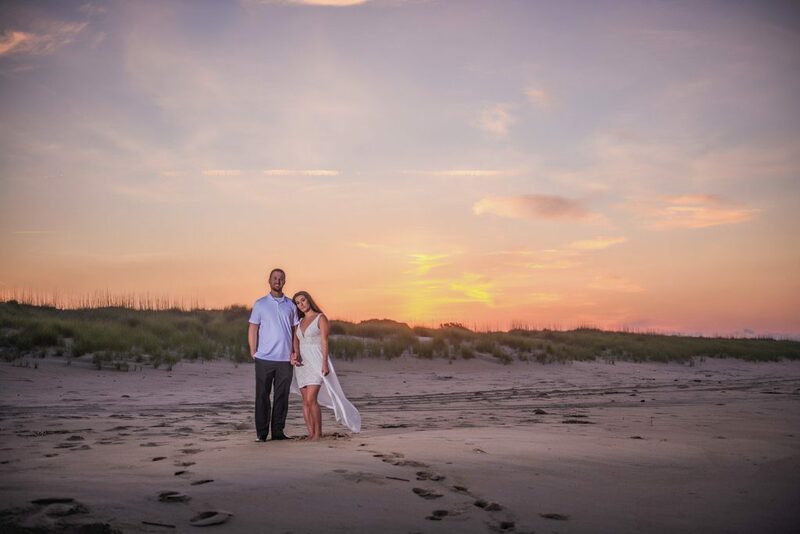 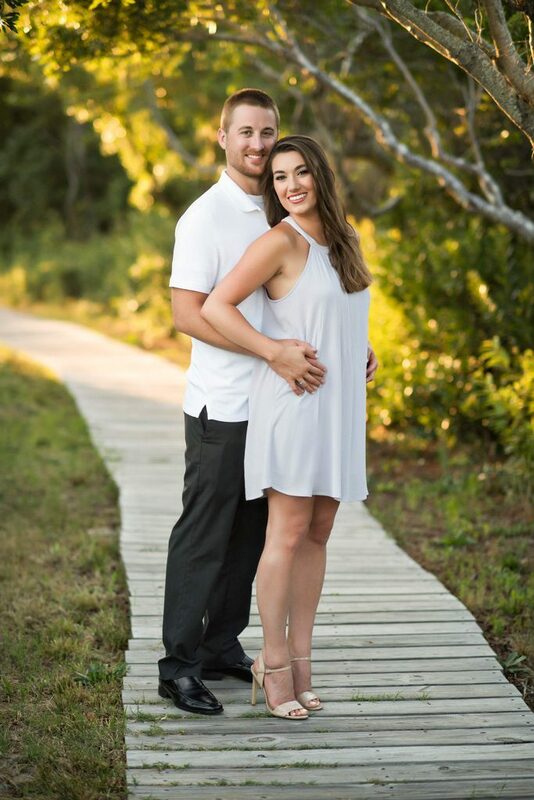 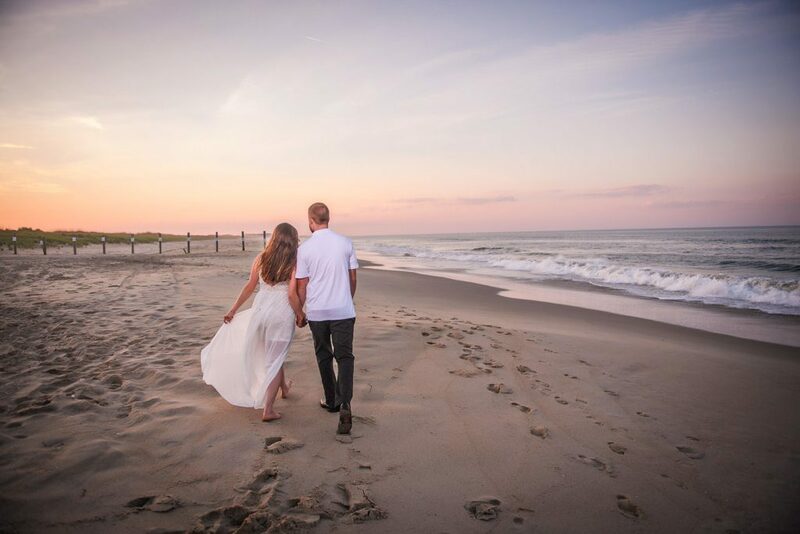 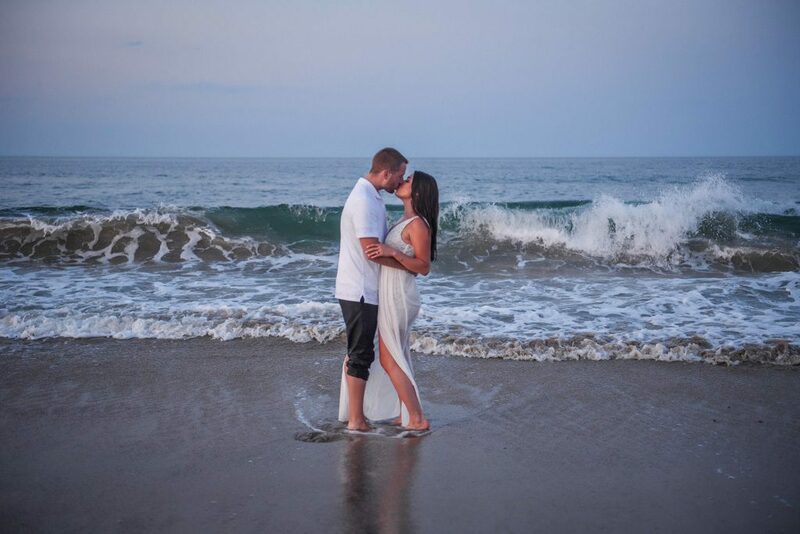 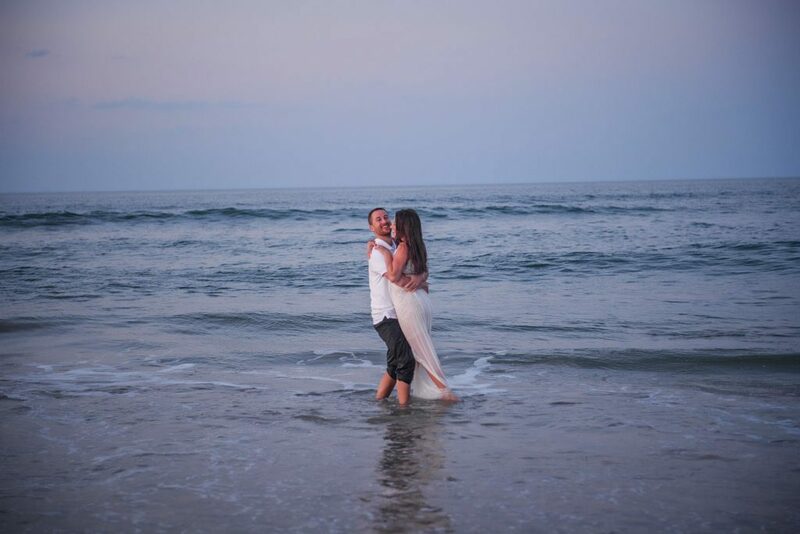 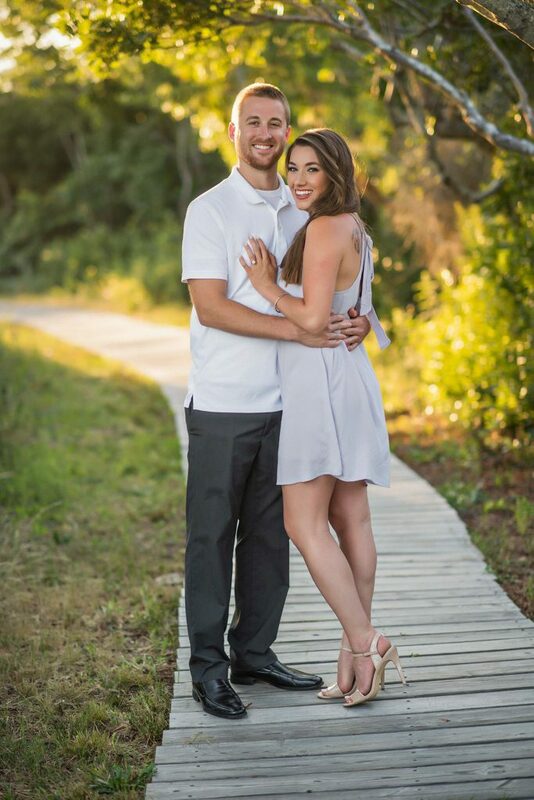 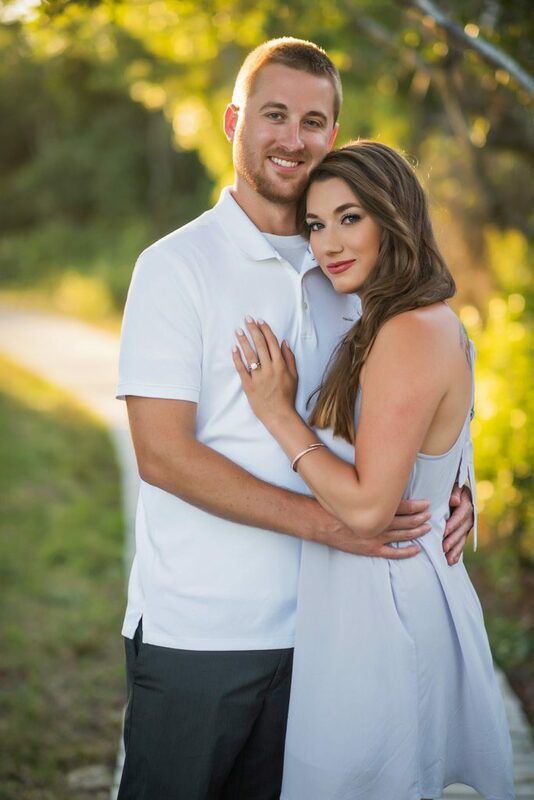 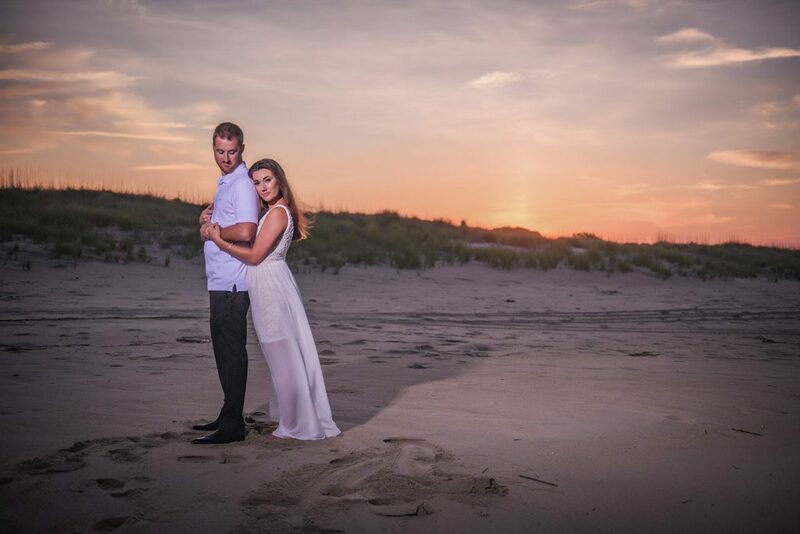 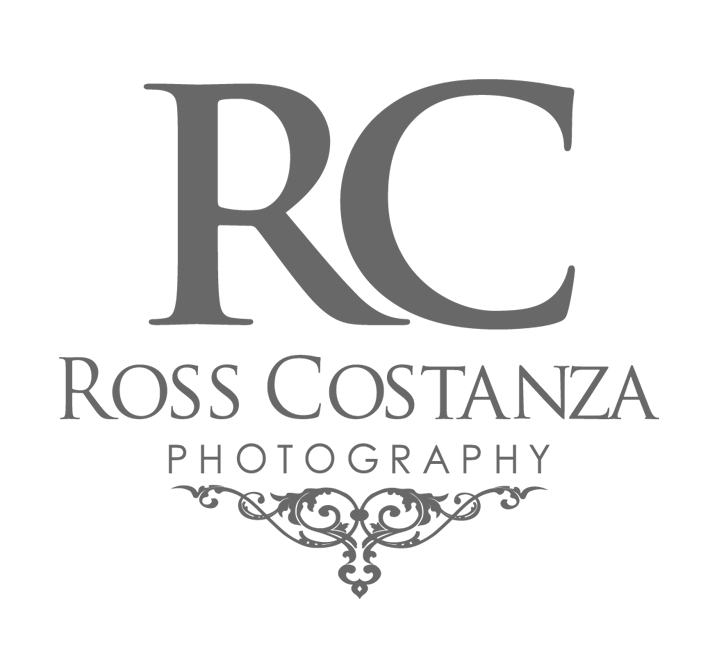 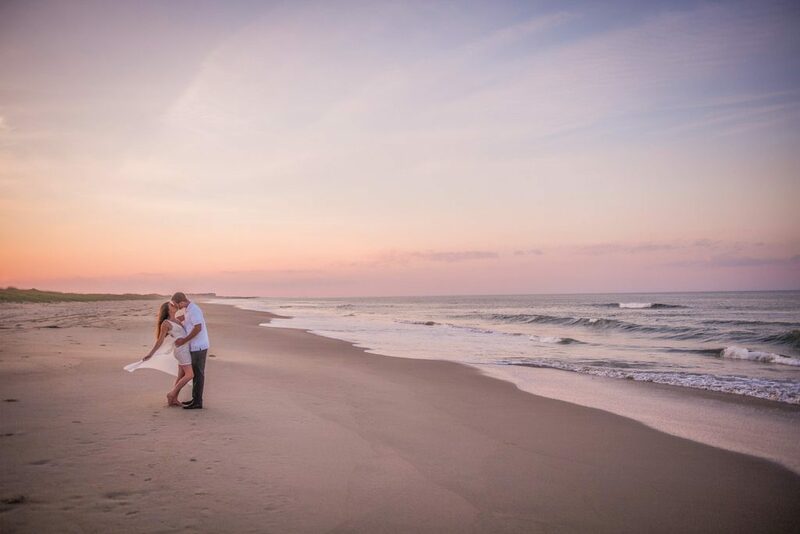 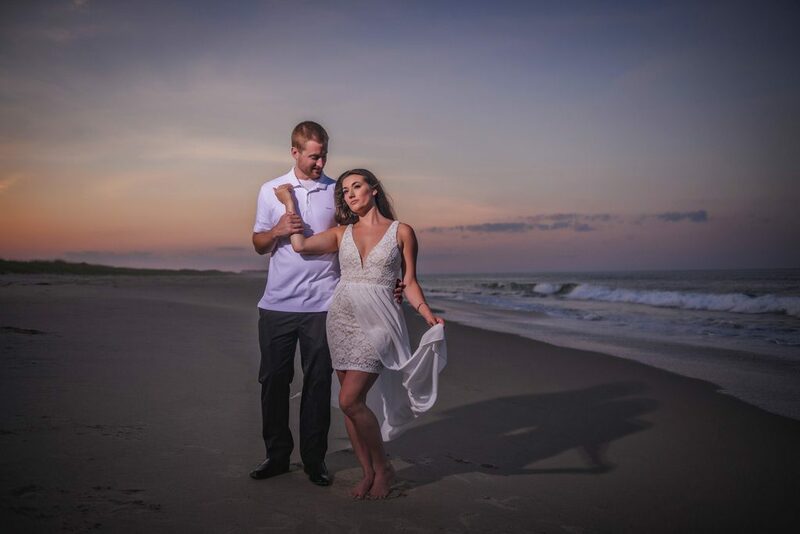 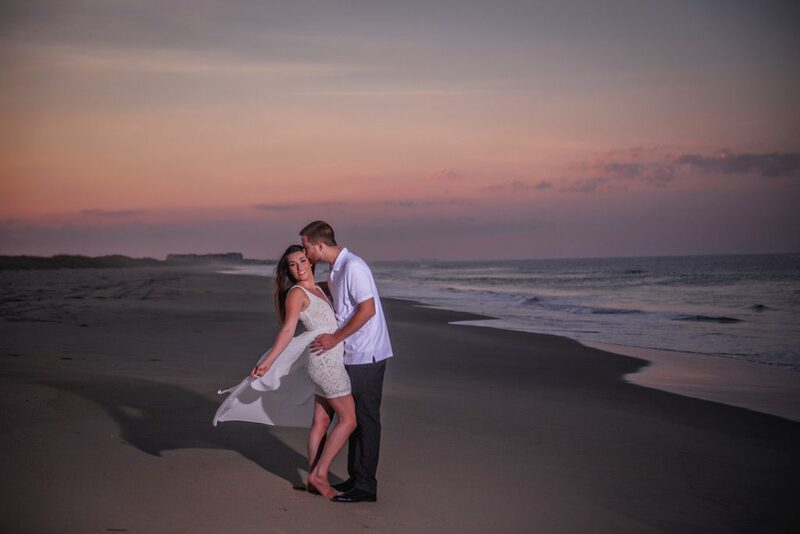 Ross Costanza Photography absolutely loved photographing Brooke and Alex’s AMAZING beach engagement session in Virginia Beach, Virginia. 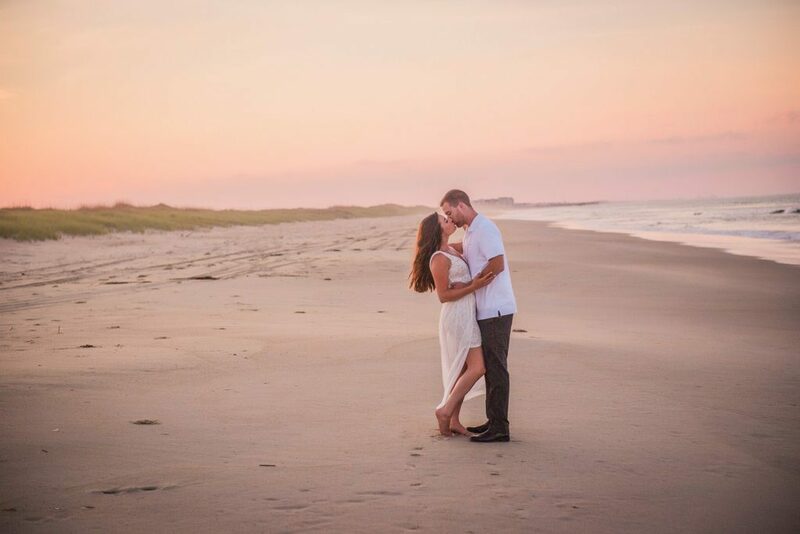 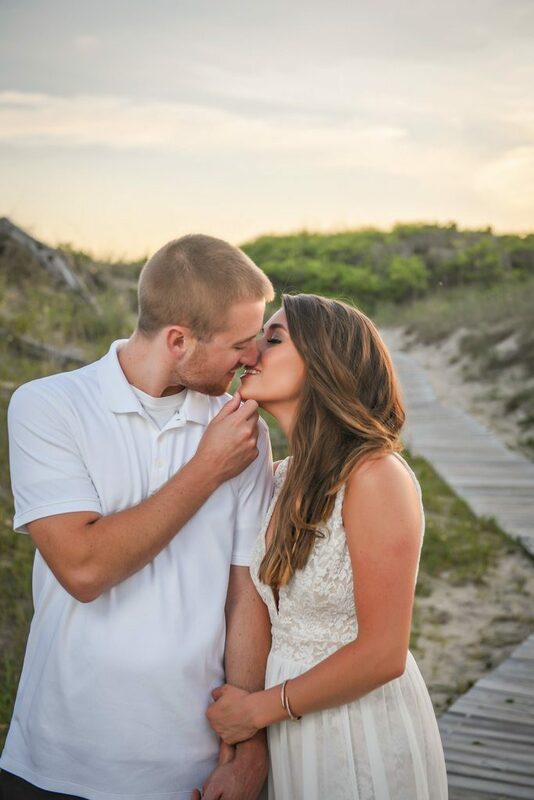 Fast forward to their engagement session, Brooke had her heart set on a knockout sunset with beautiful beach scenery. 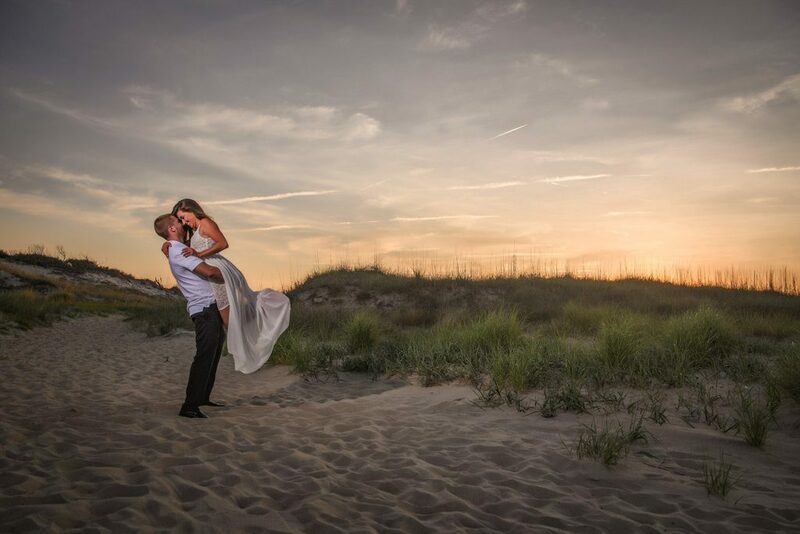 We landed on the beautiful beach at Back Bay with its rolling dunes, crashing waves, and wide open beaches. 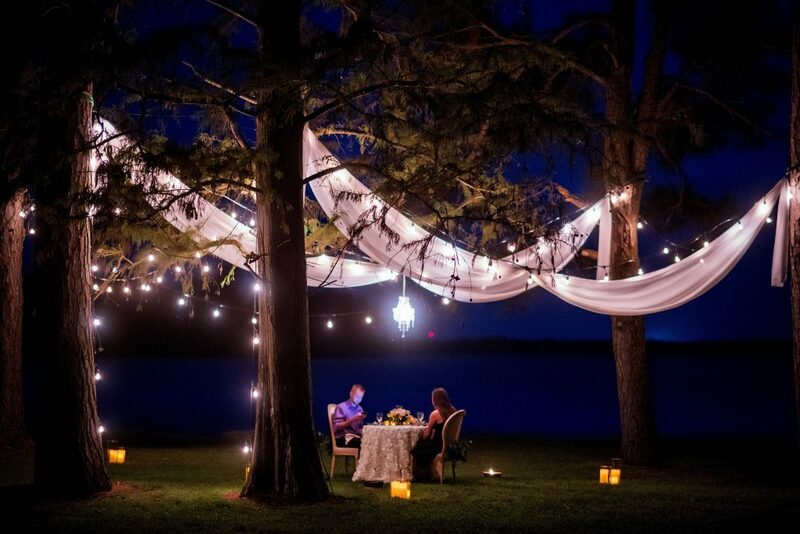 Minus the insects that felt the need to join in the fun, the evening could not have been more perfect. 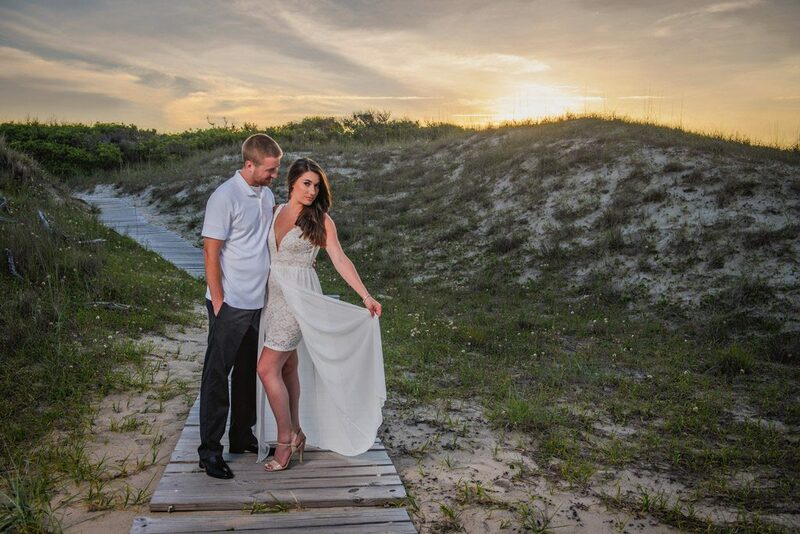 We loved the way the sun filtered through the trees along the path that led to the beach. 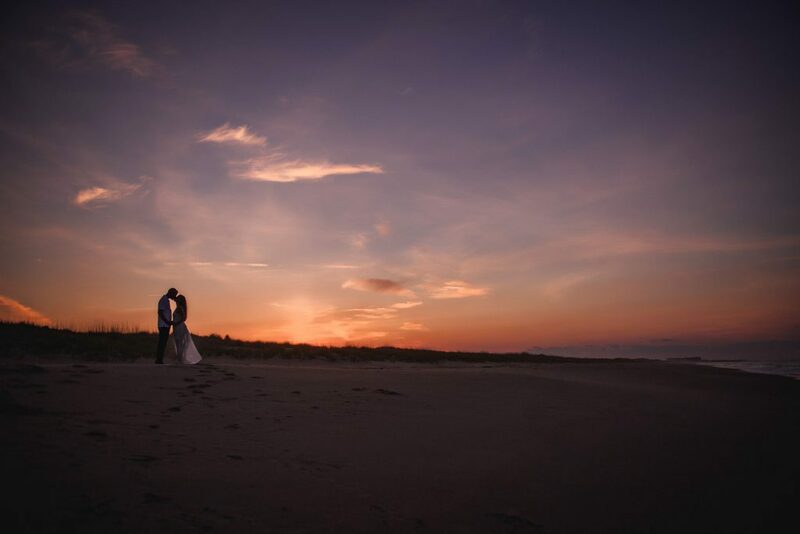 The longer the night went on, the more vibrant the sky became. 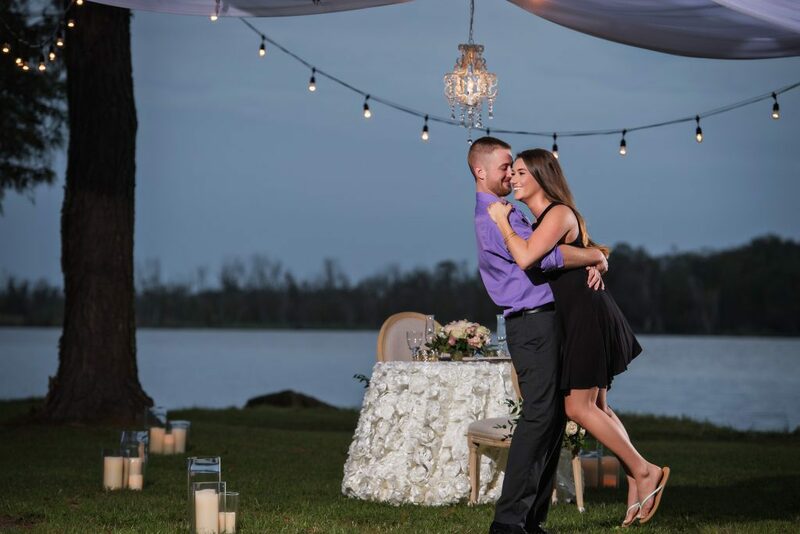 Brooke truly got her wish with that incredible sunset! 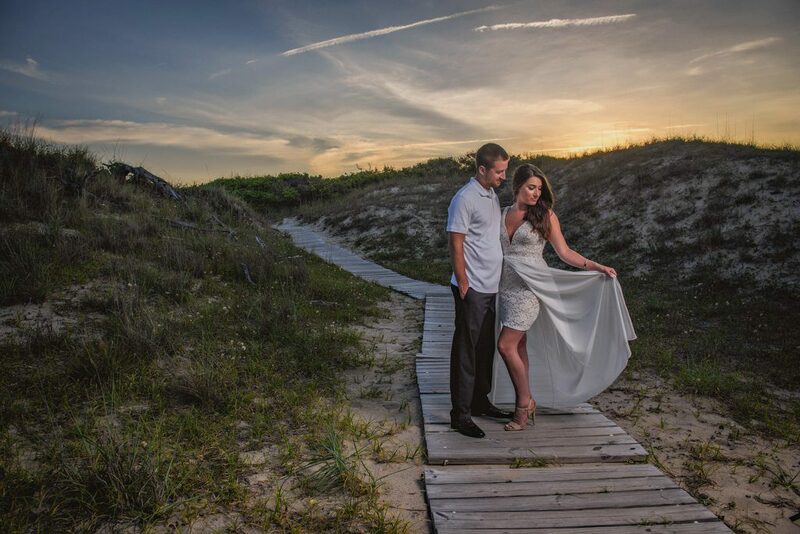 Her flowing white dress was ideal for creating sweeping, romantic portraits. 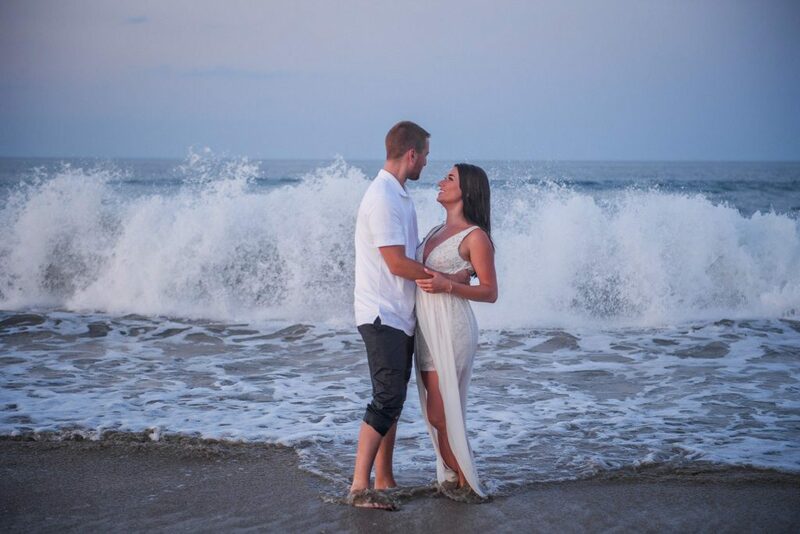 At the end of the night, Alex and Brooke ended the session by jumping in the water, having a brief splash fight, and then sealing the evening with a kiss. 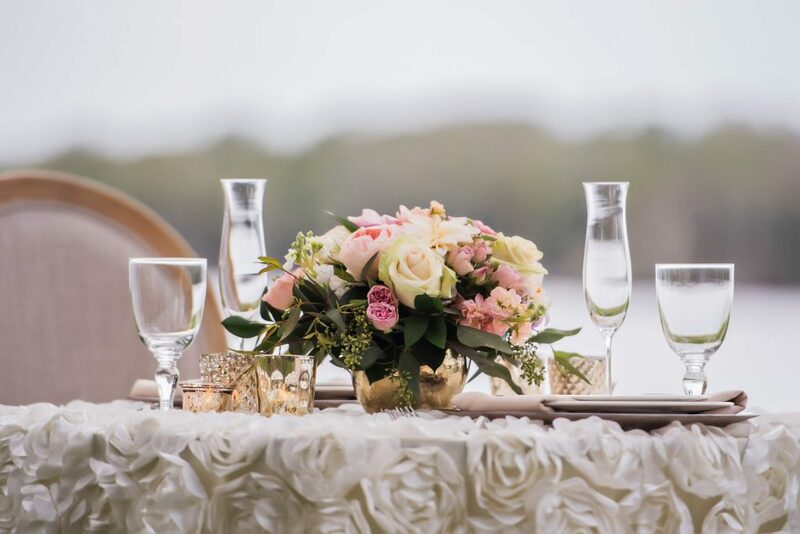 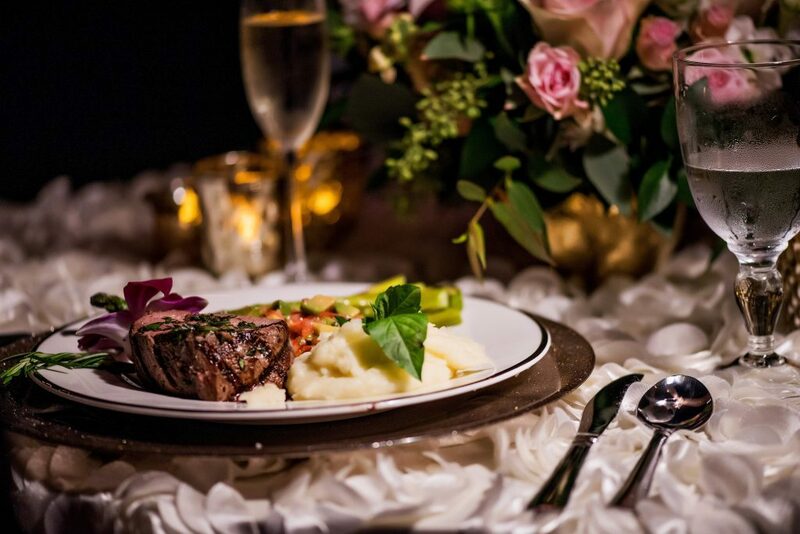 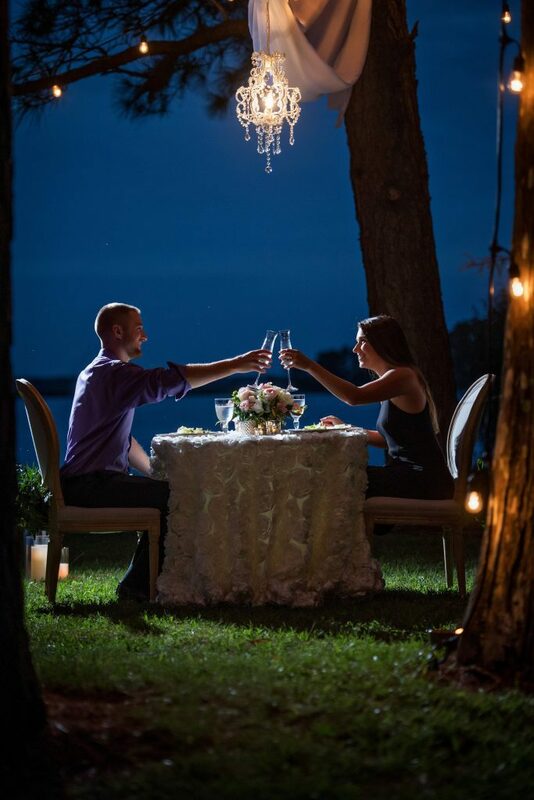 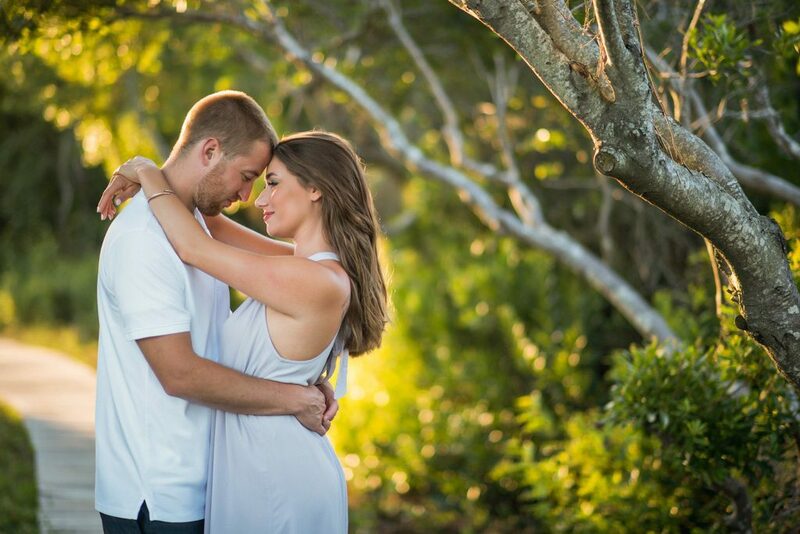 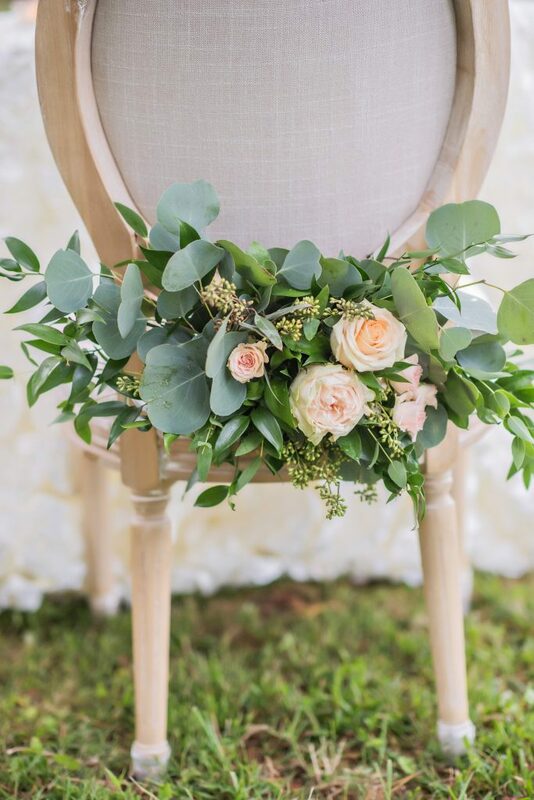 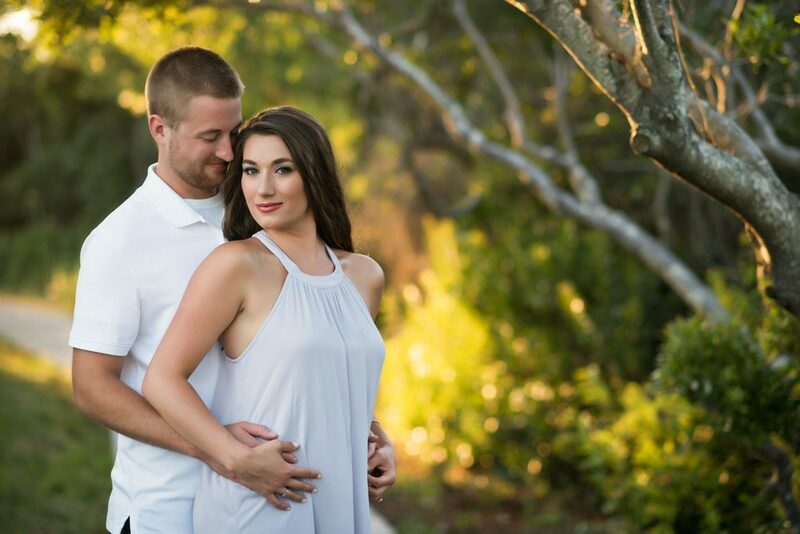 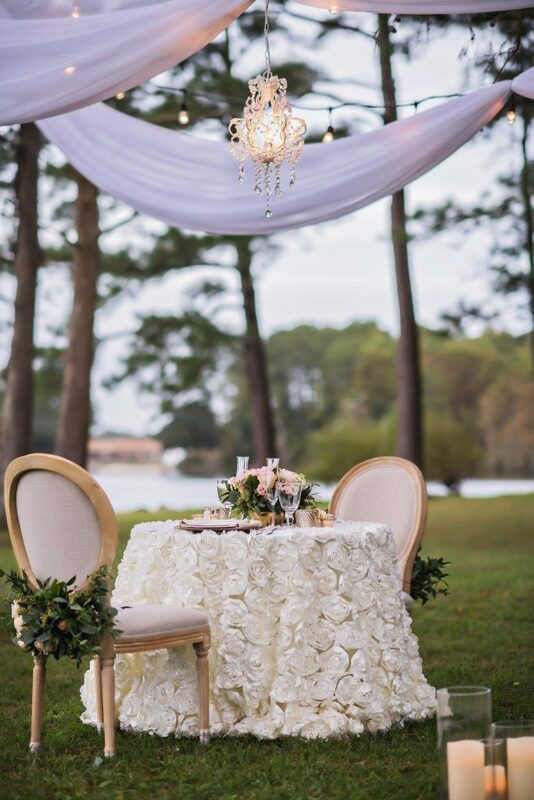 If their session is any indication of what the wedding will entail, we are certainly in for an amazing time! 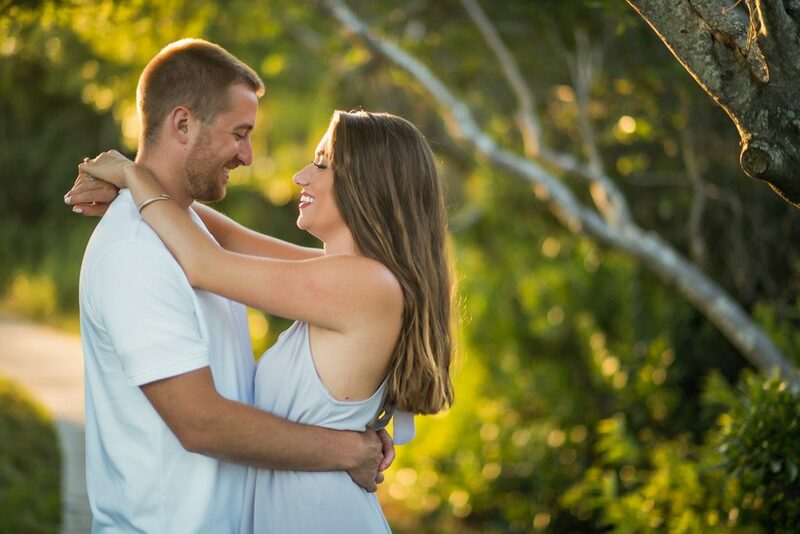 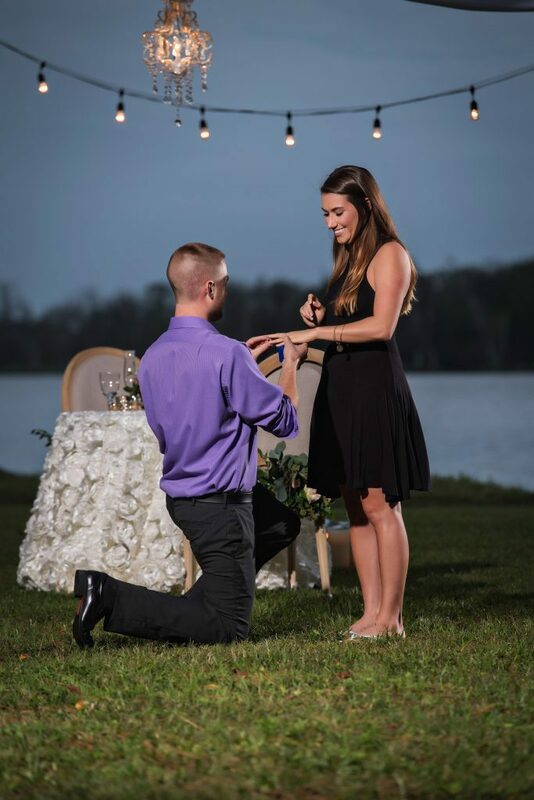 We are SO pumped to capture the beginning of their happily-ever-after in April 2018 at Back Bay Farms!